If you want to move beyond dry pens and yellow markers for reading and studying purposes, the iPad is perfectly designed for reading, highlighting, and annotating ebooks, PDFs, and other documents. When you take the time to highlight text as you read, you’re able to review and make use of what you read more efficiently. The apps featured here make it easy to markup, review and export annotations from eBooks and PDFs, and are particularly useful on the larger, full sized iPad IPad Air Vs IPad Mini - Which Should You Buy? IPad Air Vs IPad Mini - Which Should You Buy? If you want to buy an iPad, you have a tough decision ahead of you. Apple's new iPads are very similar, but they're still noticeably different in many ways. Read More . We have reviewed a couple of PDF reader apps for the iPad, including iAnnotate ($9.99, reviewed here iAnnotate: The Best iPad App for Annotating PDFs and Word Documents iAnnotate: The Best iPad App for Annotating PDFs and Word Documents When it comes to annotating and reviewing PDF documents on the iPad, iAnnotate PDF ($9.99) is my go-to solution. If there's an option to download a .MOBI or .EPUB ebook or .PDF version of a... Read More ) and Easy Annotate ($4.99), but the reader I most use now is the simple PDF Highlighter ($4.99), thanks to its unique highlighter review feature. PDFs can be imported into Highlighter via iTunes or preferably Dropbox. To highlight text, tap and hold where you want to start the highlight and release when the blue handles appear. You can then slide the bottom handle across the text you want to highlight. From there you get the option to apply a color highlight, the underliner or the strikeout tool. You can tap on an existing highlight to change one to four other colors: yellow, green, blue, and pink. At the top of the app, in an opened document, you can tap the pencil icon to use the sketch tool, or create a text note or voice memo. Highlighter’s review feature makes it most useful for study purposes. Tap on the review icon on the left side, and all your highlights and annotations appear for easy reading. Tapping a highlight links you to its corresponding page. 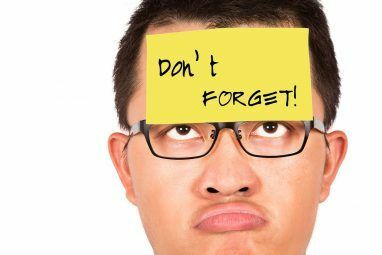 Annotations can also be emailed as a formatted version, plain text, or as an attachment. If you need or want to highlight and review webpages, Diigo Browser (Free) for the iPad is good option. 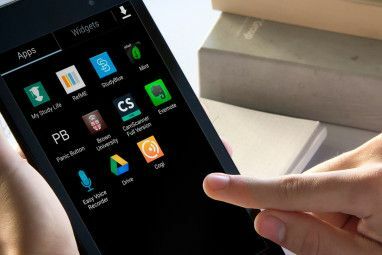 Diigo contains features similar to other web browsers for the iPad iPad Browsers Compared: Which Is Best? iPad Browsers Compared: Which Is Best? Safari is the iPad's default web browser, but that certainly doesn't mean it's automatically the best tool for the job. Read More , but its highlighter feature makes it the only iOS app of its kind that allows you to bookmark webpages and save highlights to your Diigo library account, where they can be reviewed later in the app or any web browser. I use an IFTTT recipe that automatically bookmarks all articles to Diigo that I save to Pocket. This allows allow me to open selected documents in the Diigo app and highlight them, as is done on the web version of Diigo Use Diigo To Help Write Your Next College Essay or Term Paper Use Diigo To Help Write Your Next College Essay or Term Paper Read More . The Amazon Kindle app also contains improved highlighter and review features New Kindle For iOS Features Make It A Serious eReader For Studying New Kindle For iOS Features Make It A Serious eReader For Studying The latest update adds features to the iOS version of Amazon's Kindle e-reader that makes it more useful than Apple's own iBooks for reading eBooks and PDFs. Read More , so does Apple’s latest version of iBooks Why Apple's iBooks Is The Best E-Reader For Making Annotations Why Apple's iBooks Is The Best E-Reader For Making Annotations Read More and the DRM-averse Marvin e-reader Marvin E-Reader for iOS is Better Than Kindle & iBooks Marvin E-Reader for iOS is Better Than Kindle & iBooks If you want to see how much better Kindle and iBooks could be check out Marvin, an e-reader for iOS that doesn't sell e-books but makes reading them a better experience. Read More – which you choose will depend on where you get your books from. If you’re a Evernote user, you probably should know that its latest version includes a highlighter, located in the toolbar of its built-in keyboard. The highlights made in the iPad naturally get synced to all your other devices, making Evernote an even more robust study tool Back to School? How to Organize Your Classroom Work With Evernote Back to School? 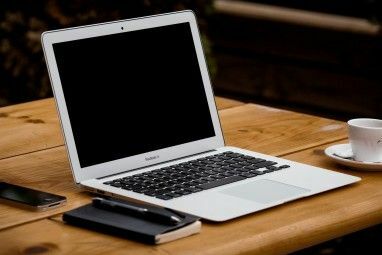 How to Organize Your Classroom Work With Evernote School time can become stressful for both students and teachers, especially in high school and later in college. Therefore, it's absolutely crucial that you stay as organized as possible so that you know where to... Read More . Finally, our recently reviewed Voice Dreams ($9.99) is an iOS voice reader app that also allows users to add and save highlights Voice Dream Reader: The Perfect Reading and Study Tool for iOS Voice Dream Reader: The Perfect Reading and Study Tool for iOS Text-to-speech technology has improved greatly over the years, and though you can enable the Speak Selection feature in iOS, Voice Dream Reader puts it to shame. Read More and notes, which can be read back to you by the app. The app’s bookmarking tool is unique in that users can tap and bookmark paragraphs in a document as it is voice-read. These highlighter and annotation tools make the iPad the perfect device for paperless reading and studying The Beginner's Guide To Going Paperless With A Mac, iPad and iPhone The Beginner's Guide To Going Paperless With A Mac, iPad and iPhone I don't have the stats to prove it, but I think the money I save by going paperless practically pays for my Apple devices. Read More . 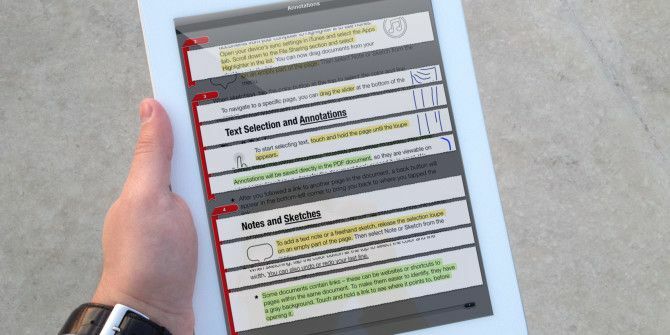 What apps and tools do you use your iPad for annotating, highlighting and studying? Let us know in the comments below. Explore more about: Ebooks, PDF, Study Tips. I'm waiting for Pocket to update the app with highlighting features. Instapaper's got it going already, and while being a power Pocket user makes it hard to me to use another read-it-later app, I'm really sad. Sad, but hopeful. Raquel, you and me both. I think I would use Pocket more if had a built-in highlighting feature. For some reason, highlighting long articles causes me to comprehend them better. Calina, yes, I reviewed it back in March: MarginNote Offers Unique Approach To Annotating & Reviewing Documents.